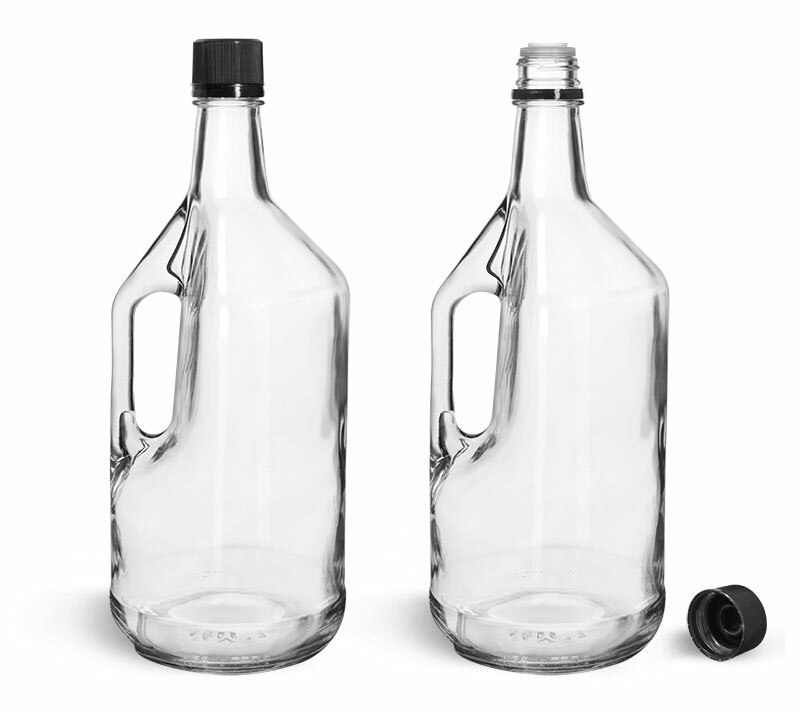 When creating barrels of fruitful wines, choose clear glass wine jugs with round handles and sturdy bases as a practical and stylish packaging option. 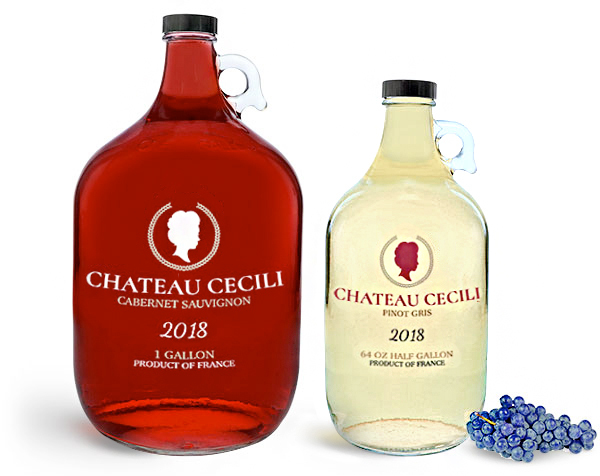 The unique glass jugs provide a crystal clear view of vibrantly colored red wines, with large labeling areas for custom branding and decoration. 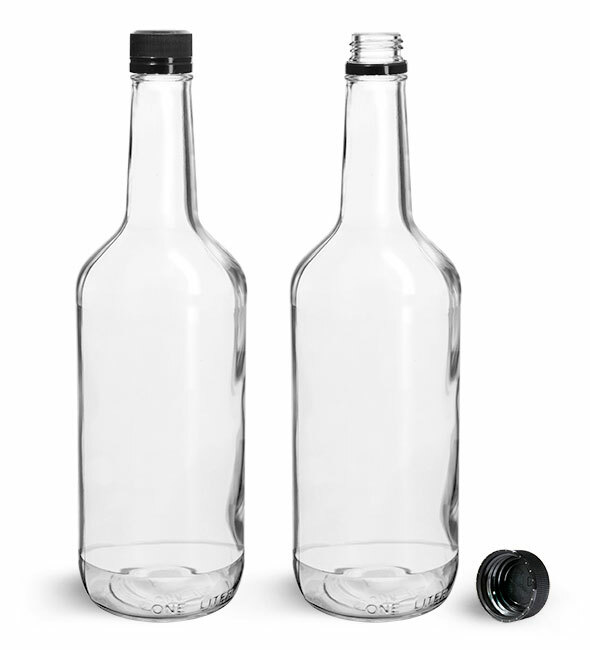 These clear glass wine jugs are paired with black phenolic cone lined caps. The caps include natural plastic cones that create a secure wedge type seal, safely storing the container's contents.